This is a great article by Paxton Quigley. We at Women and Guns couldn’t agree more with her philosophy. 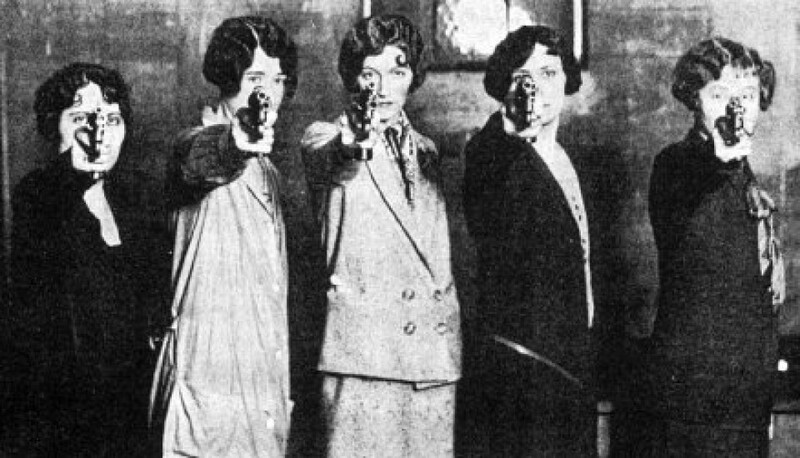 How to survive a shooting…. This picture was shared by Dina Brannon on Facebook. 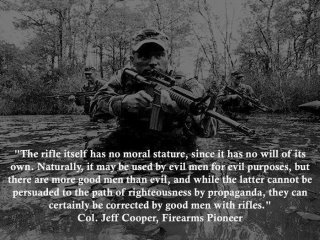 It was true when Col. Jeff Cooper wrote it, and it is still true today. Thank you Paula, for sharing! Pretty good shootin’ if you ask me!! Great situational awareness!! And the .380 definitely left an impression on those perps! You can’t help wondering how many would have been hurt or killed, had this gentleman not been on hand to deal with these punks. A 26-year-old man told Aberdeen police he was cleaning guns in his garage with his uncle when his pistol fired. The shot Thursday wounded the 55-year-old man in his right arm. KBKW reports police are still investigating. Really? “His pistol fired”? I was under the distinct impression that all pistols require that someone load them, point them, and pull the trigger in order to fire. 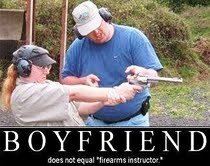 This statement would almost imply that the pistol fired itself. This is why we ALWAYS practice the Universal Safety Rules! Thank goodness the man was not mortally wounded.